IntelliLink, Navigation, Sunroof, Perforated Leather Seats! 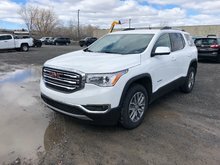 This jack-of-all-trades GMC Acadia is ready to tackle the trails and carpool lanes with plenty of storage and room for passengers. This crimson red tintcoat SUV has an automatic transmission and is powered by a 3.6L V6 24V GDI DOHC engine. 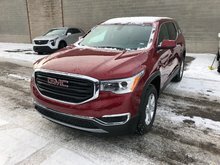 Motivated by that brawny motor it gets 13.5 L/100 km in the city and 9.5 L/100 km out on the highway according to Transport Canada. Our Acadia's trim level is SLT. 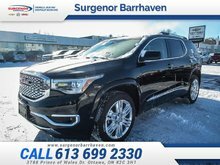 With excellent standard features like a power liftgate, bluetooth connectivity, SiriusXM, an 8-way power driver seat and rear view camera, the Acadia SLT adds many luxurious features to the list. 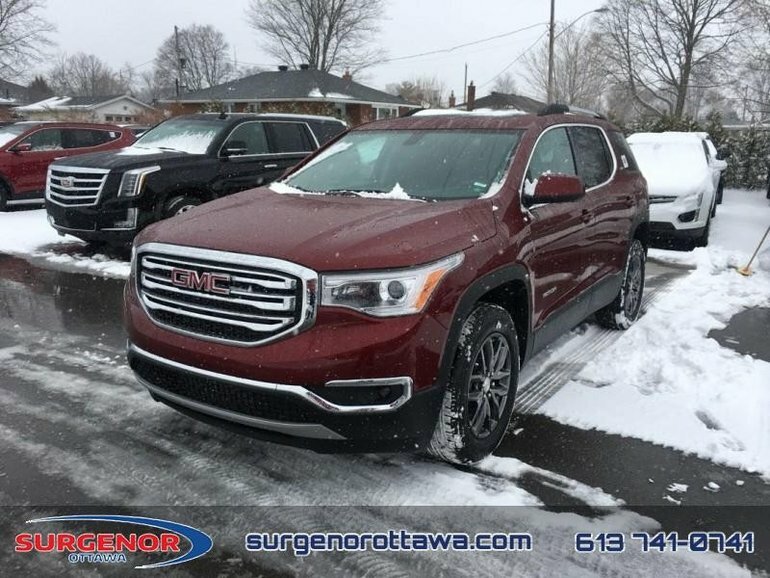 These include a Bose 8-speaker premium sound system, a power passenger seat, advanced all-wheel drive, rear park assist, lane change alerts, blind zone detection and perforated leather heated seats. This vehicle also has the following features: Intellilink, Navigation, Sunroof, Perforated Leather Seats. Total rebate of $3650 is reflected in the price. Credit includes $650 Delivery Allowance and $3000 Non-Stackable Cash Purchase Assist. Credit is available in lieu of subvented financing rates. Incentives expire 2018-08-31. See dealer for details. 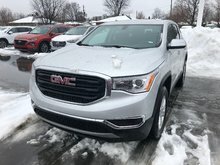 Ce véhicule, GMC Acadia SLT - IntelliLink - Navigation 2018 vous intéresse?